The wonderful thing about a nature photo contest is that, although not everyone gets to be the winner, no one really loses. Just by participating, each photographer goes outdoors to experience and record little glimpses into the wonder of the natural world. 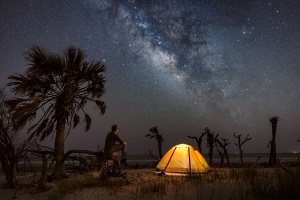 Hopefully, as you delight in the beauty and expertise of this year's South Carolina Wildlife-Harry Hampton Fund Photo Contest winning entries, you will be inspired to set aside some time to personally experience a little bit of South Carolina's wildlife, too, whether you decide to photograph it or not. If a picture truly is worth a thousand words, then this photo feature alone tells enough stories to fill nearly three issues of SCW, and that makes our readers the real winners.